Take I45 south out of Houston to 2351 and go west 4 miles. Take a left on Pecan Street. Church will be straight ahead. Follow the welcome signs to guest parking located on the east side of the campus. Take 518 West into Friendswood. Turn right on E. Haritage (behind Comerica Bank) and follow the welcome signs to guest parking located on the east side of the campus. Take 518 South into Friendswood. Turn left on E. Heritage (behind Comerica Bank) and follow the welcome signs to guest parking located on the east side of the campus. 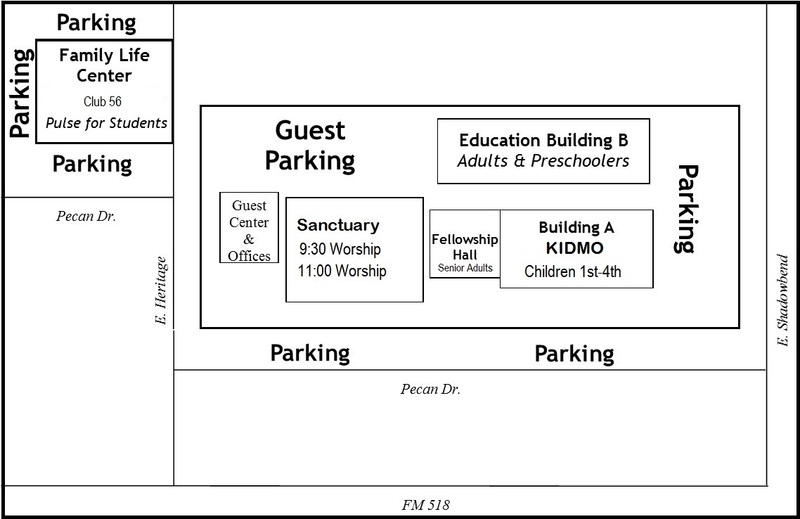 Once you arrive, park in the Guest Parking lot, where you will find a Guests Welcome Center in the church offices. 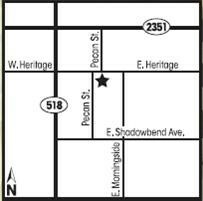 We look forward to meeting you and helping you find your way around here!